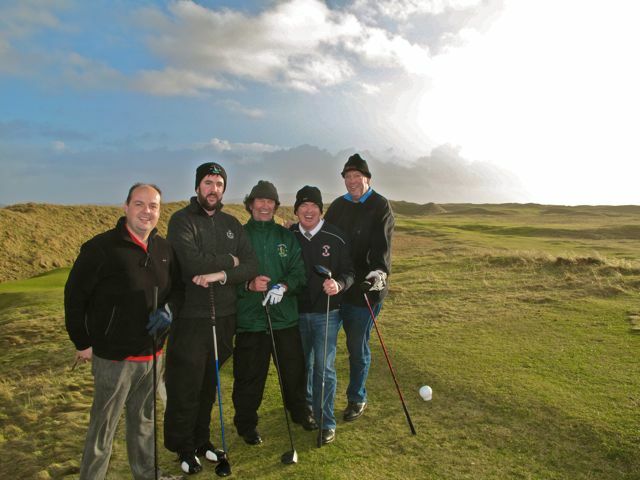 Askernish: Who Needs Winter Rules? 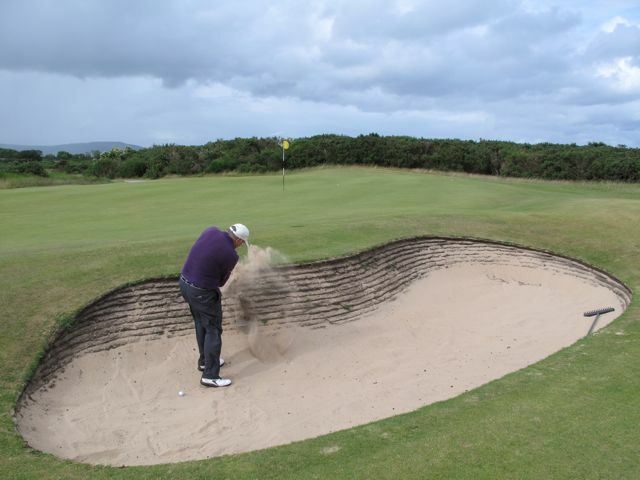 The key to a January golf trip in Scotland is flexibility. 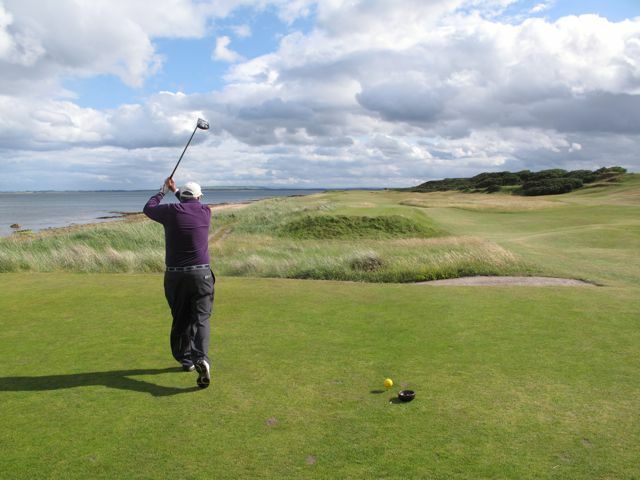 My original itinerary had me right off the plane at Glasgow and down the road to ancient Prestwick for a quick 18, followed on successive days by rounds at Askernish, Castle Stuart, Royal Dornoch, Nairn, Carnoustie, the Old Course at St. Andrews, Kingsbarns, Kinghorn, Crail, Musselburgh Links and Muirfield (same day), Turnberry, Western Gailes and Girvan — with 9 squeezed in at Maybole, if time allowed, on the way back to Glasgow. However, heavy snows across the country convinced me that I should alter my plans and spend the entire two weeks playing top-ranked Askernish Old. Re-reading his words after a fortnight of challenging but delectable golf, I have to laugh. First of all, I don’t think the wind ever got above 60 or 65 miles per hour while I played, and those were gusts, not sustained winds. Twenty or 25 mph was more the norm, and with the average midday temperature topping 40-degrees fahrenheit, four layers of clothing provided a nice balance between comfort and mobility. Squalls sweep in from the Atlantic with some frequency, but the local golfers have taught me how to squat with my back to the gale until the horizontal rain exhausts itself. 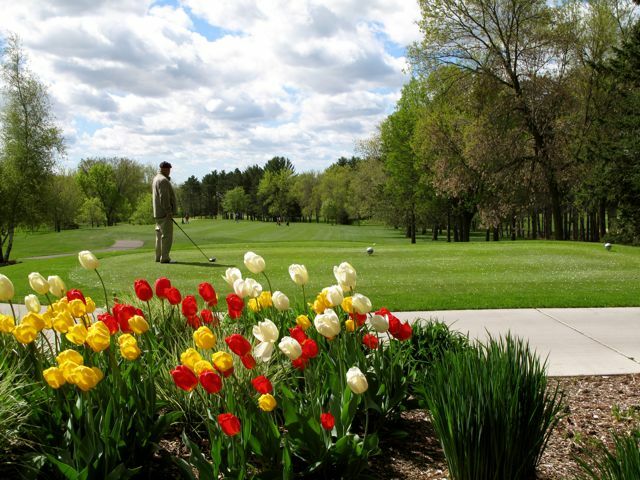 That generally takes a few minutes, and it is common to see the sun pop out while you are collecting tee markers that have been uprooted and sent tumbling down a dune. Neither is the Hebridean day as short as my friend suggests. The sun appears over the hills a little after 9 a.m. and takes a languorous turn across the southern sky, never rising more than thirty-degrees above the horizon, before plunging into the Atlantic a little before four p.m. A four-ball venturing out at noon finishes at twilight, making for an enjoyable 500-yard stroll in the moonlight to the two-room clubhouse. 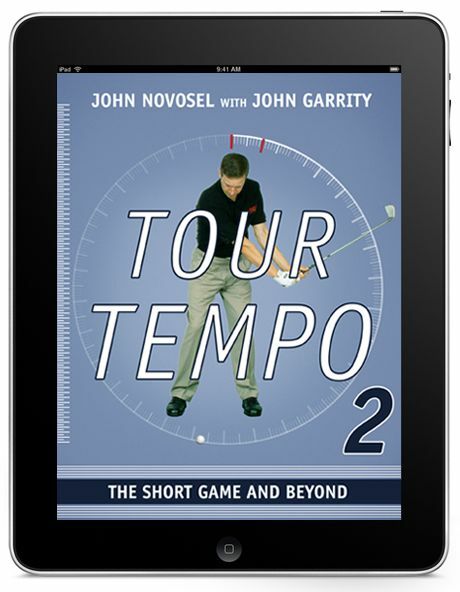 Tee times are not a problem this time of year. 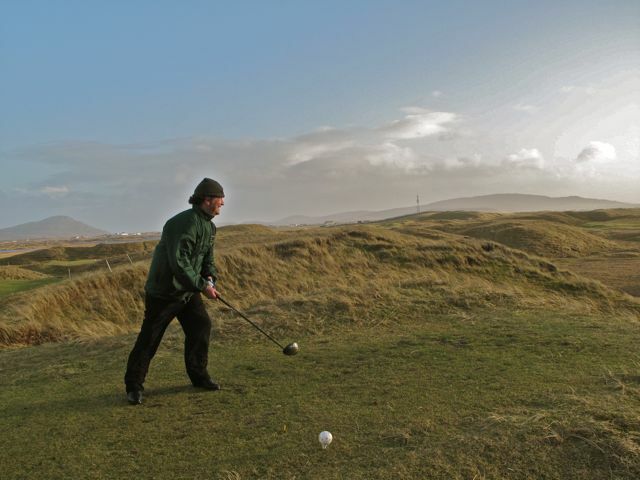 On a given winter’s day, you might see a lone golfer striding up the par-5 sixth, parallel to the beach, with a wool cap pulled over his ears and no shadow in tow. 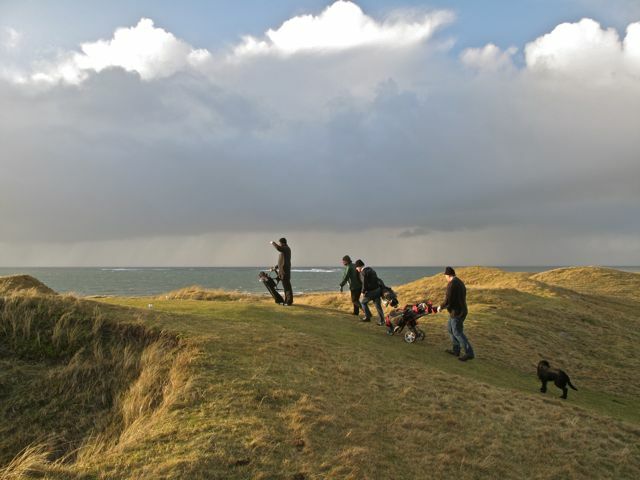 On a god-given winter’s day, such as Friday afternoon was, you’ll encounter a four-ball sunning in the bowl of the multi-tiered 16th green (“Old Tom’s Pulpit”) while a sixsome, accompanied by frolicking dogs and darting lapwings, takes turns firing at the flag from cliff’s edge on the dogleg ninth (“Brochan”). Askernish is not for everyone, I suppose. 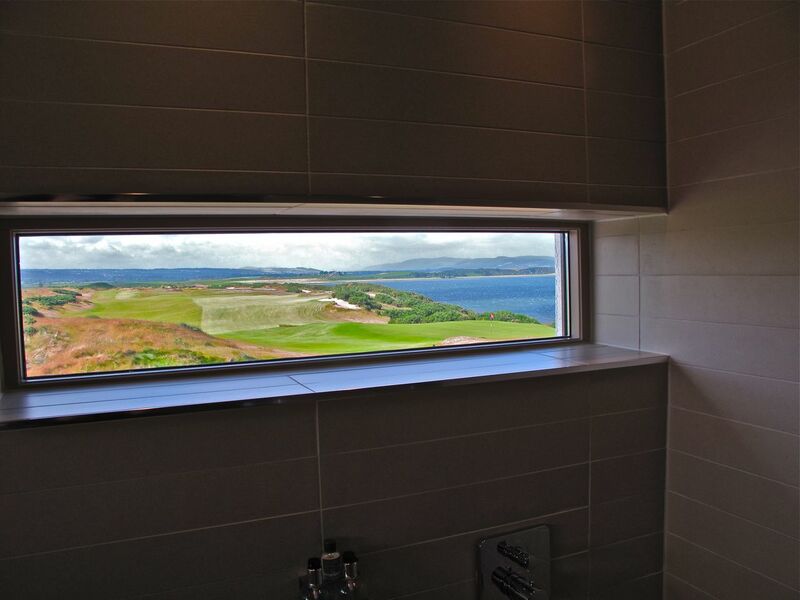 Maybe just for golfers. Anyway, I’m heading home. 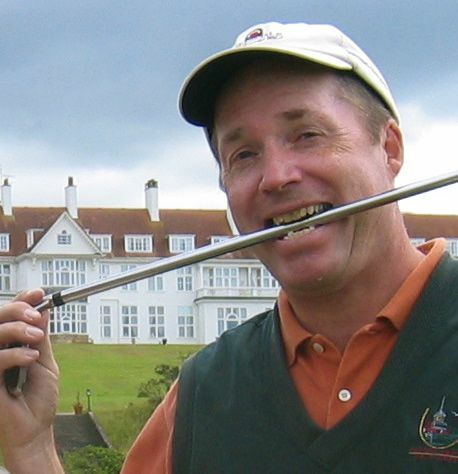 If you’d like some help planning your own low-season Scottish golf tour, send me your e-mails. I’ll forward them to the proper tourist agencies. And if you don’t get an immediate response, be understanding. Their staff is probably wintering on the Costa del Sol. 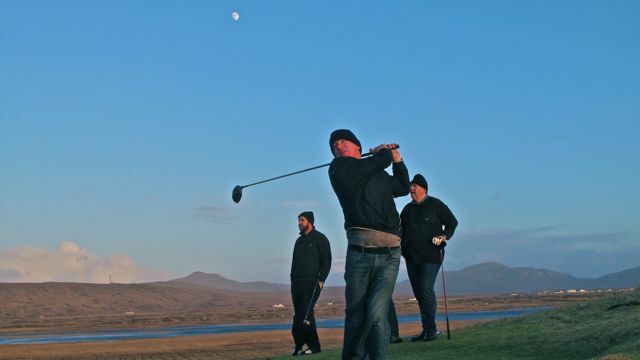 Scottish Golf: ‘Tis the Season? Having opened all my presents and sung all my carols, I’m packing for my next golf trip: a January excursion to the Highlands and Islands of Scotland. It will be a solo trip, I’m sorry to say, because both staff and family have been frightened off by press reports of blustery weather in Europe. 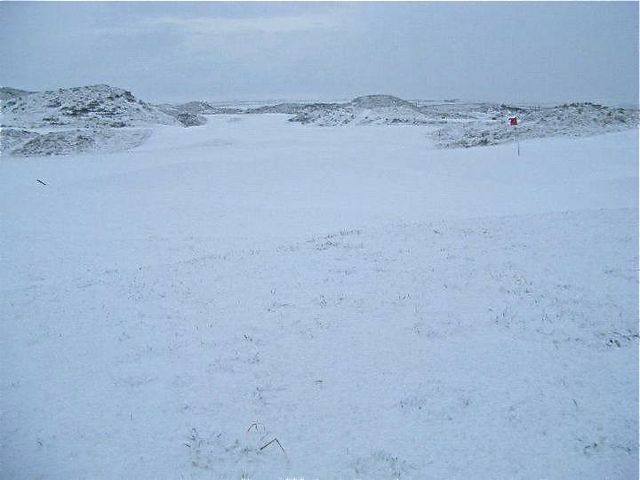 One correspondent went so far as to send me a photograph of second-ranked Carne Golf Links blanketed with snow. On the bright side, she’s helping me pack. 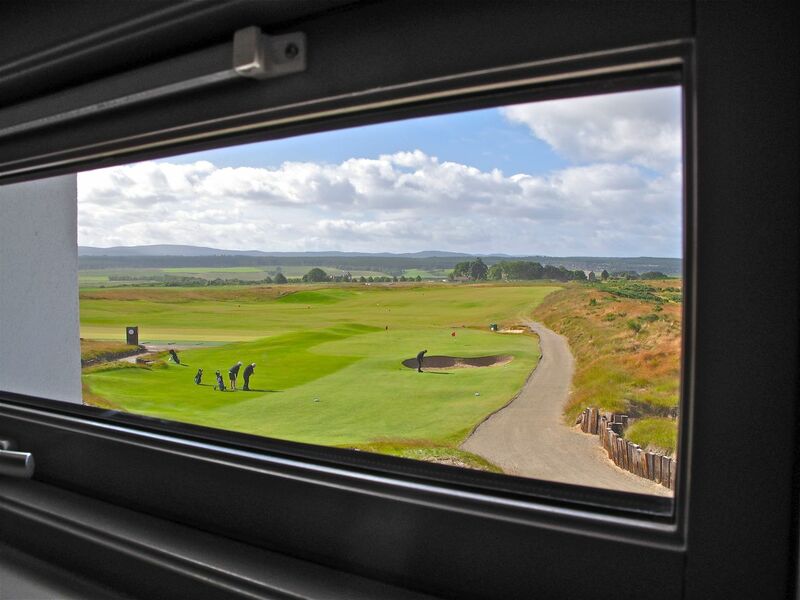 Winter, I have argued to no avail, is the perfect time for a Scottish golf trip. 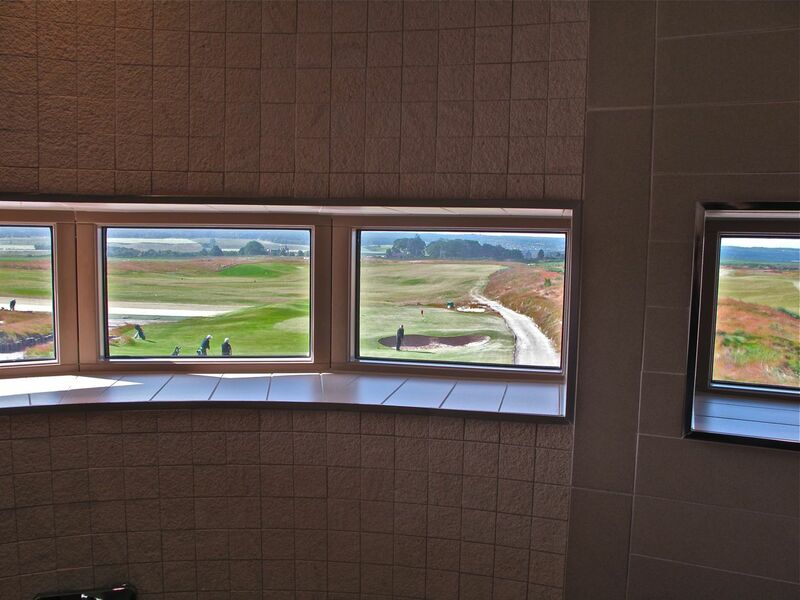 Low-season hotel rates apply, green fees have been slashed, and you can practically name your tee time. (“Dawn” is a good choice, since the Scots can only squeeze about four hours of daylight into a January day.) These are not second-rate layouts, either. 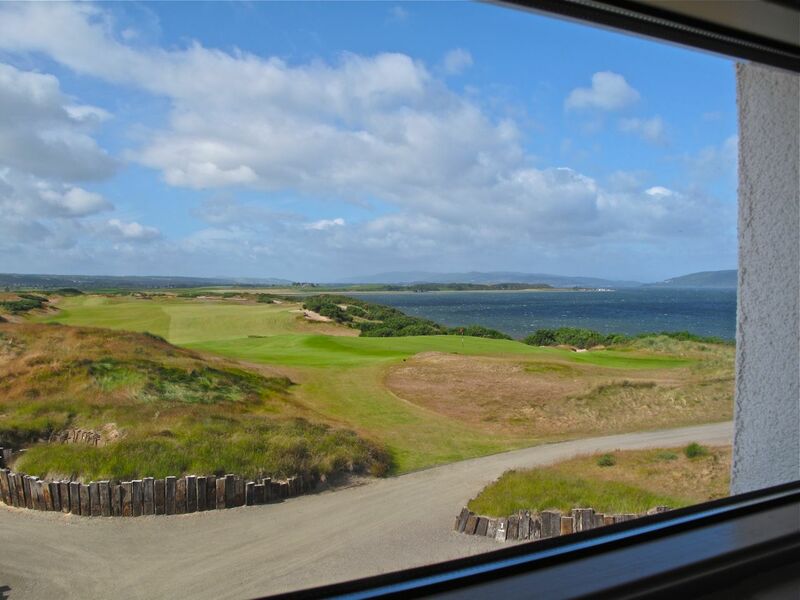 My Highlands-and-Islands itinerary includes Askernish (1), Castle Stuart (9), Royal Dornoch (43) and Nairn (51). “You might want to e-mail them to see if they’re open,” said Dave Henson, the Hilton Head-based bureaucrat who runs my course-rating division. Besides, the computer room at our Catch Basin headquarters is closed until the Basement Magic folks finish their work on the southern wall. The Bomar Brain is covered with a big blue tarp, the ping pong table is pushed against the vault door, and the Top 50 leader board is frosted with a layer of white sanding dust. So I’m off to Scotland. But don’t worry, I’ll continue to file Top 50 posts on a close-to-weekly basis.